An ion detox is a method of removing harmful toxins from the feet using an ionically charged foot bath. While there are rival theories on how (and if) the treatment works, those who undergo it claim numerous benefits. 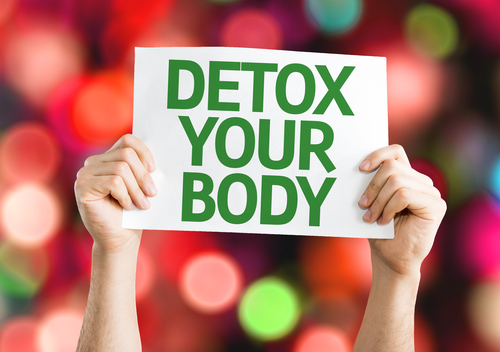 If you’re interested in detoxing your body using this innovative method, the following information can shed some light on what an ion detox entails and how it’s purported to work. Ion detoxes utilize a foot bath charged with positive and negative ions. The goal of the treatment is to remove impurities (including environmental toxins, impurities related to smoking, and other pollutants) through the soles of your feet as they soak in the specially designed foot bath. Along with removing toxins, this treatment is claimed to reinvigorate cells, which proponents believe can result in better thinking and a clearer state of mind in general. Research shows that the exact mechanism of how impurities are removed isn’t known. Additionally, color changes in the water are not the result of toxins leaving a person’s body, (as some claim) but is a natural result of the ionization process. However, people who’ve undergone the treatment experience significant benefits. Perhaps the greatest benefit of an ionic foot bath is the relaxation it affords. Soaking your feet in a warm water bath is an excellent way to unwind after a long day, whether it’s a conventional soak or an ion-infused bath. Also, those who’ve experienced ion foot baths state that they feel healthier overall, both mentally and physically. Despite how the process works, numerous people swear by the treatment and experience a boost in their mood as a result. If you suffer from health conditions and are unable to find relief using conventional methods, Heberle Chiropractic Clinic provides innovative, practical remedies to residents of Canandaigua, NY. This includes relaxing ion detoxes, topical ointments to treat tension headaches, and orthotics to provide relief from painful foot conditions. This clinic also offers chiropractic care to decrease pain and discomfort while also increasing mobility. Schedule an appointment by calling (585) 394-3420. You can also see the full range of services available by visiting the website.